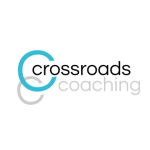 Crossroads Coaching offers individual and group coaching sessions for anyone wanting support to find success and satisfaction from their job or lifestyle and wanting to develop their overall strengths and abilities. Personal coaching is an investment in YOU and can benefit your entire life. Contact Crossroads Coaching with any queries or questions or to book your coaching sessions and start moving forward straight away. Crossroads Coaching is Nicole Buitenhuis. Originally from the Netherlands, with a bachelor’s degree and soon a master’s degree in Psychology, she has extensive experience as a commercial manager in international companies, manager and coach of teams, expat partner and mom.